Last week, Under Night In-Birth Exe:Late[st] (yes, that’s its real name) found its way to PlayStation 4. Despite working with a smaller budget, this obscure anime fighter does a much better job teaching newcomers about the genre than most major releases. Its greatest accomplishment, however, is not sugar-coating the truth: you simply aren’t good enough to jump in and immediately start winning. 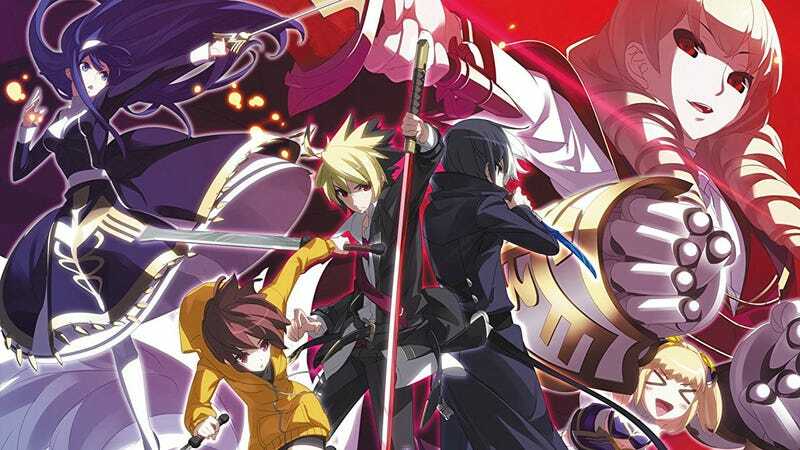 Under Night In-Birth has ­­­­Street Fighter-meets-Guilty Gear gameplay and a tug-of-war-esque Grind Grid meter shared by both competitors. But what really sets it apart is the extensive tutorial system, which guides players through 179 lessons on both the fighting game genre in general and Under Night’s own mechanics. The tutorials start out with the most basic of basics. They show how to move forwards and backwards. They explain health bars. They teach that you can crouch and block at the same time by holding down-back. While these are details experienced fighting game players have had hammered into their brains for years, these moves are an important foundation for understanding Under Night In-Birth’s advanced techniques. Things ramp up. Under Night In-Birth eventually teaches how to utilize option selects, which are complex inputs that give players the ability to automatically perform the optimal response to any number of situations. For example, one technique counters throws, guards attacks, or simply backsteps away from airdashes, depending on what tactic the opponent chooses. By the end of the Veteran course, the game is explaining how to mix several complex mechanics into a single combo. But its most important lesson comes in the form of a simple text box after the final tutorial is completed. While blunt, it does the player a great service by not softening reality. Fighting games are hard, sometimes oppressively so. The best players get that way through hours, days, weeks, and sometimes years of hard work and dedication. When starting a new game, it’s not uncommon to play dozens (if not hundreds) of matches without a win. Real understanding comes from building on each loss, internalizing your mistakes, and being receptive to outside assistance. Tutorials, even those as extensive as Under Night In-Birth’s, aren’t enough to make someone a master. You need to be ready to get out there and lose, lose, and then lose some more.